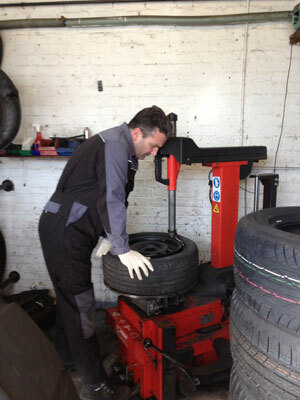 In 2005 we installed our Tyre Centre to cater for customer demand. Whether you are looking for tyres for your car, van, fleet, or motorbike, we can help. The same goes for high performance and 4×4 tyres. Michelin, Goodyear, Dunlop, Continental, Bridgestone, Pirelli, Toyo and Yokohama. If you can’t see the tyre you’re looking for give us a call and one of our experts will help find it or choose a suitable alternative. Puncture repairs are carried out while you wait. Wheel alignment and wheel balancing is another service that is available on site.